Matt McCalla’s father died when Matt was one year old. His mother passed away during his freshman year at Cardina lO’Hara High School. Feel sorry for him? Don’t bother because Matt doesn’t want anyone to pity him. He prefers respect — something this 17-year-old senior has definitely earned. Despite these difficult life experiences, Matt maintains a positive attitude and sets high expectations for himself. Those expectations recently culminated in a noteworthy achievement: getting accepted to Harvard University. He also applied to StanfordUniversity and PrincetonUniversity and was accepted to both. However, Matt didn’t expect a yes from Harvard when he opened the e-mail message from the university. “I prepared myself for failure only because statistically I knew it was unlikely that I had been accepted,” he said. He is interested in government and is considering politics as a future career. Matt also likes science, so he might major in both areas. 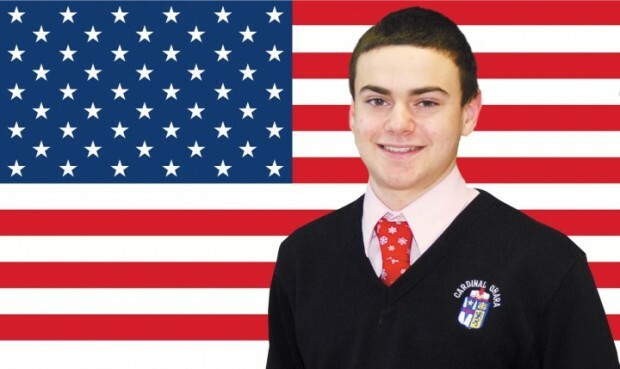 At O’Hara Matt’s academic schedule includes theology and three advanced placement courses. He is also taking two courses at St. Joseph’s University – directorial screenwriting and Current Events in the Spanish-Language Media: Latin America. 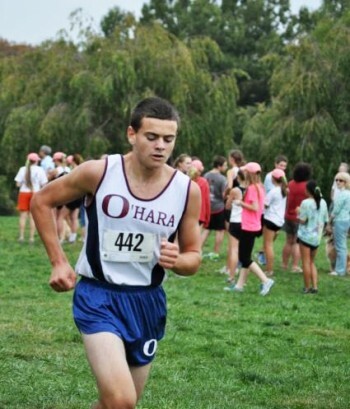 In addition to his busy academic schedule, Matt is student council president and a member of the cross-country and track teams at O’Hara. During the fall cross-country season, Matt runs in the mile and two-mile races; in the spring he’s a pole vaulter on the track and field team. Matt not only competes in sports; he also enjoys participating in the annual Delco HiQ competitions. “Not only do you get to compete as an individual and how much knowledge you have but you’re part of a team that works together to learn different things and to communicate those ideas to each other up on the stage,” he said. The experience he is most proud of is leading the school’s Kairos spiritual retreat, which is held at Malvern Retreat House each year. Father Paul O’Donnell, who was Cardinal O’Hara’s school minister at the time, had asked Matt if he would take on a leadership role during the retreat. By the end of the day Matt told Father O’Donnell he would serve as a retreat leader. Matt certainly is familiar with life-changing experiences, especially after his mother died. It was a time when this young man reflected on what had transpired in his life. 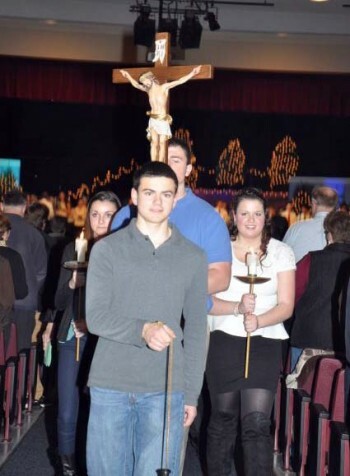 Although Matt attended public elementary schools, he credits his mother with sending him to Cardinal O’Hara where he feels part of a faith community.